今天来个蓝线一日游， 所以就这样选了这里啦~ 来到纪念堂站 D2 出口， 出站 后直走就会看到中山纪念堂在你的右边拉! 进去不用钱， 但如果要进建筑屋里面就要入门票啦!这里是历史区，建筑物是为了纪念孙中山而筹建的~ 我对历史没什么兴趣~ 所以，我都在外拍拍看看(这里很大!). 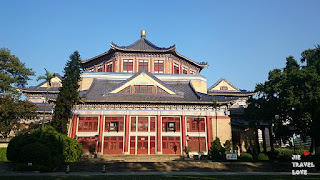 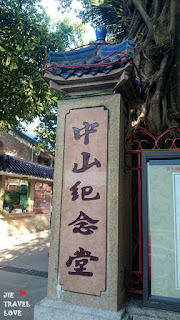 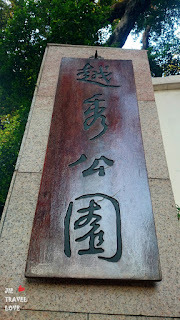 Garden is free, but if want to go in to the building to have a look need RMB 10 . 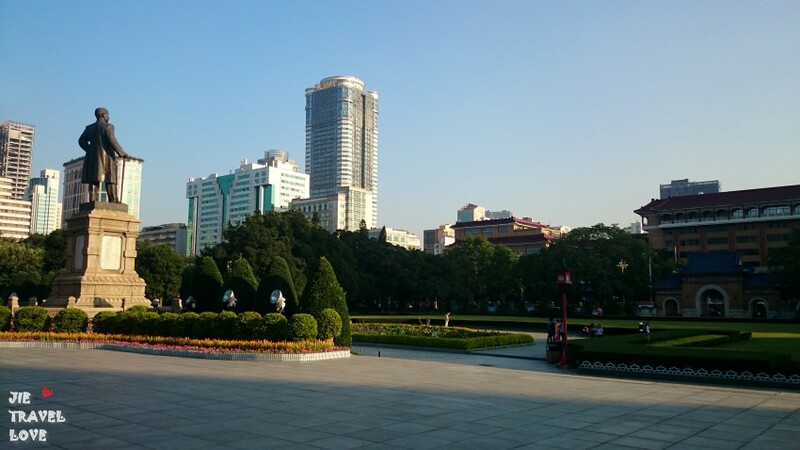 The garden view here also not bad! 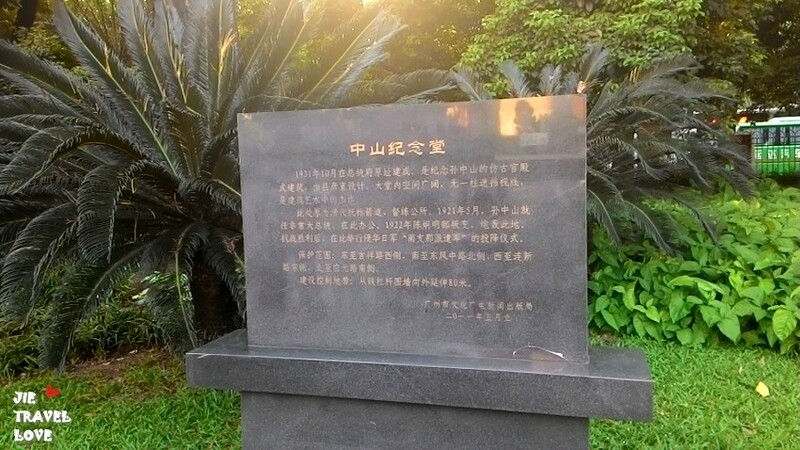 之后就走到对面的越秀公园南门， 你会看到有段很长的楼梯. 一直往上爬， 旁边有个碑~ 接着往公园走~ 就会看到五羊石雕. 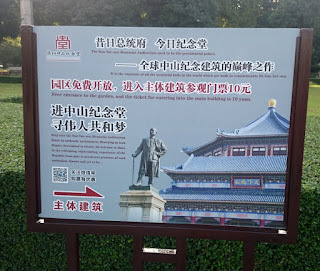 其实这个公园很大~ 我没走完. 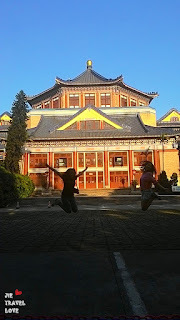 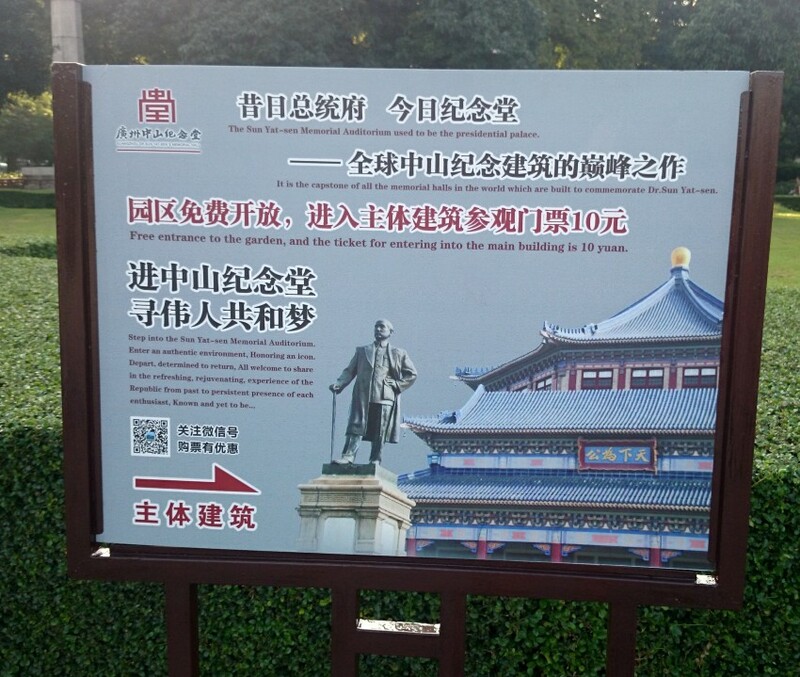 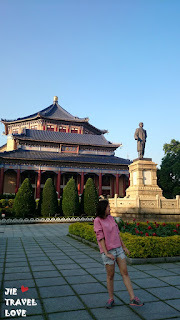 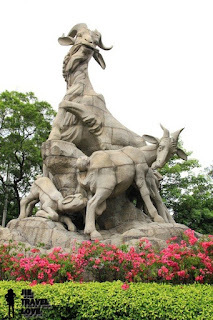 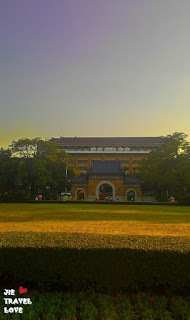 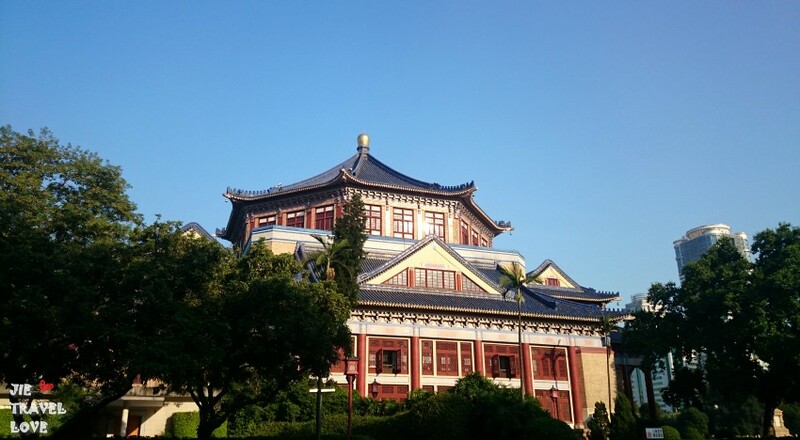 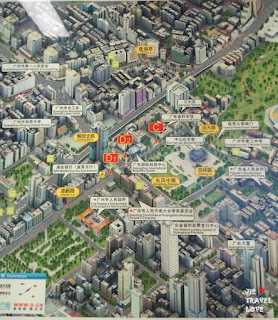 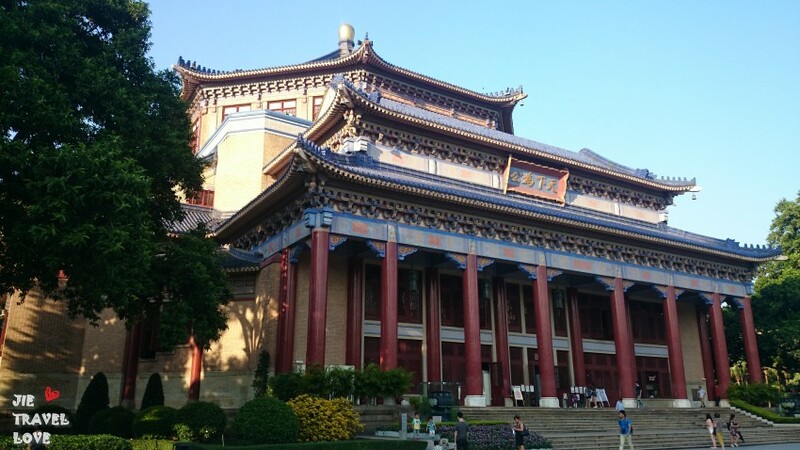 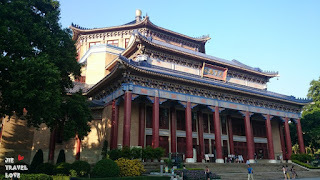 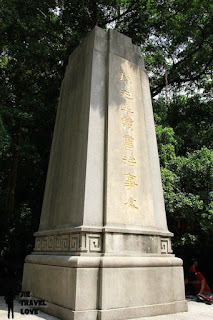 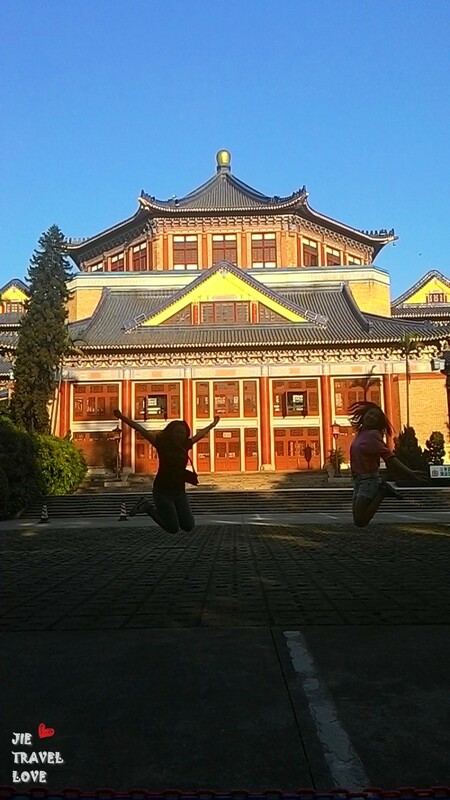 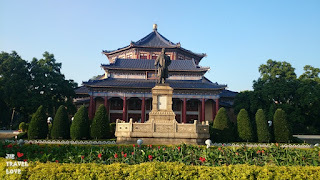 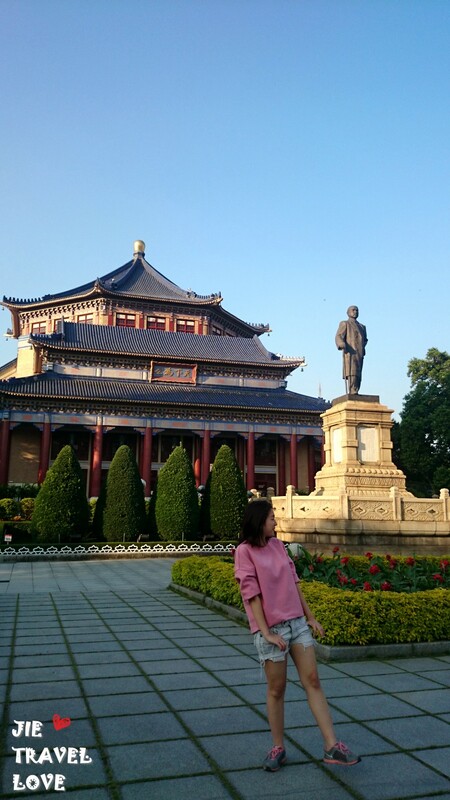 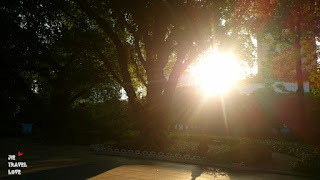 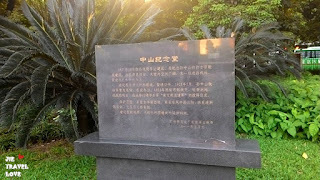 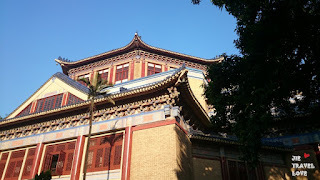 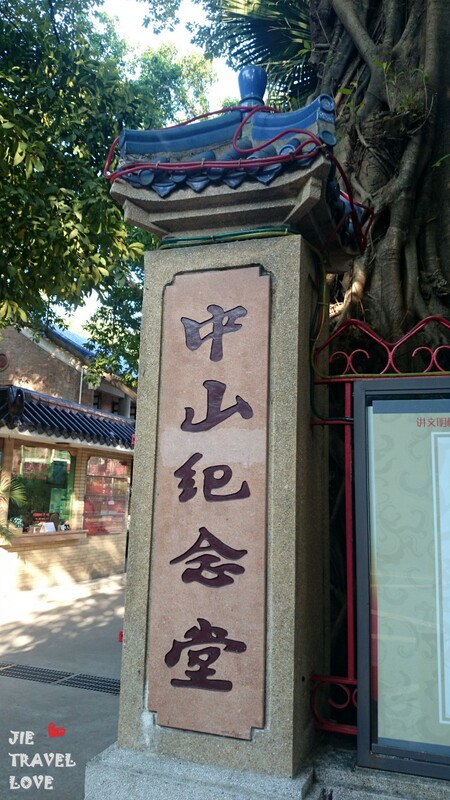 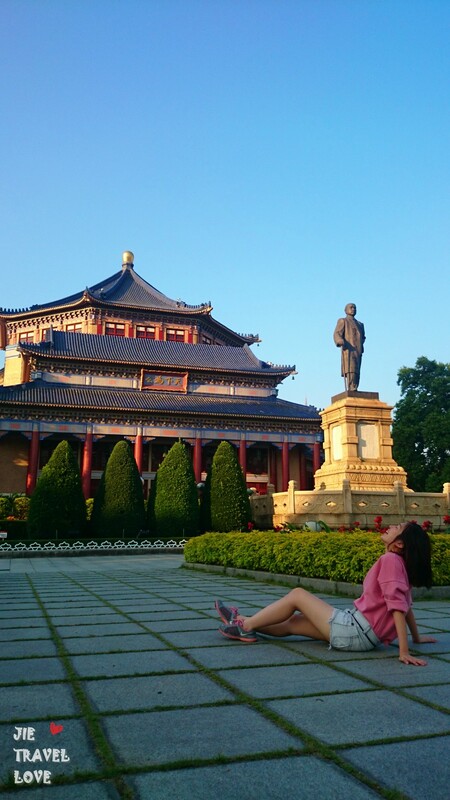 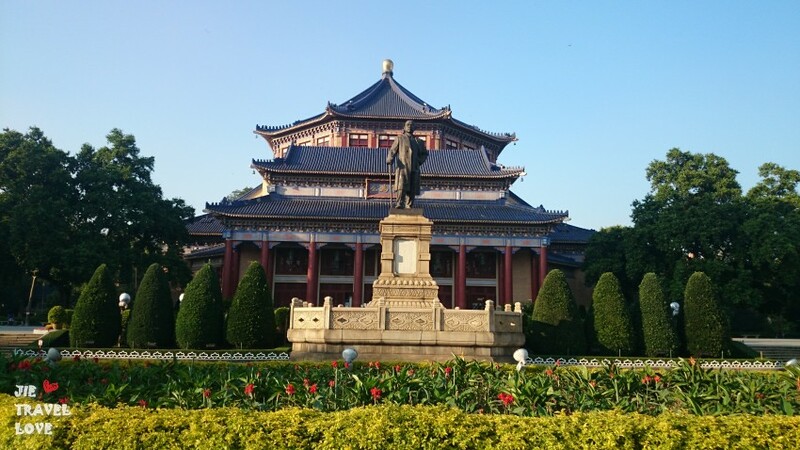 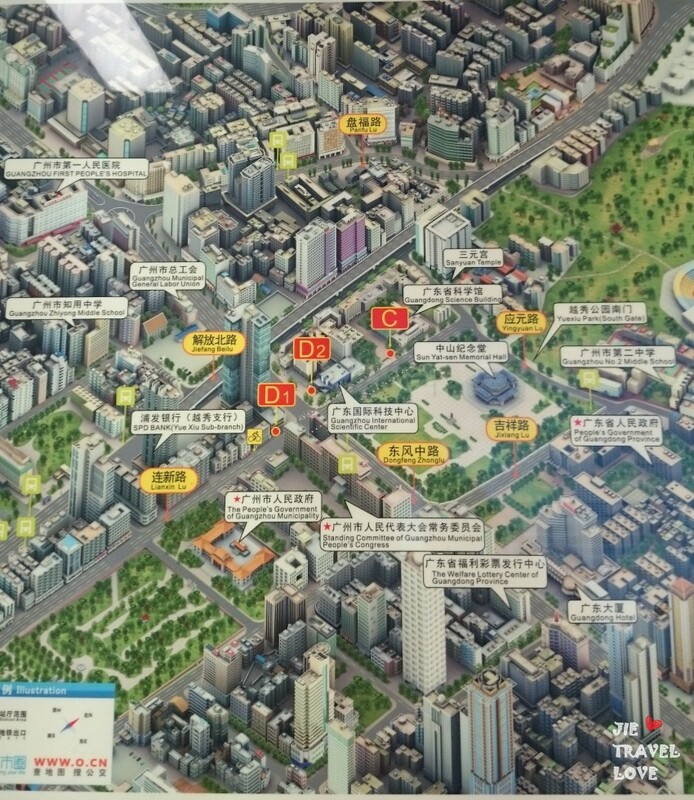 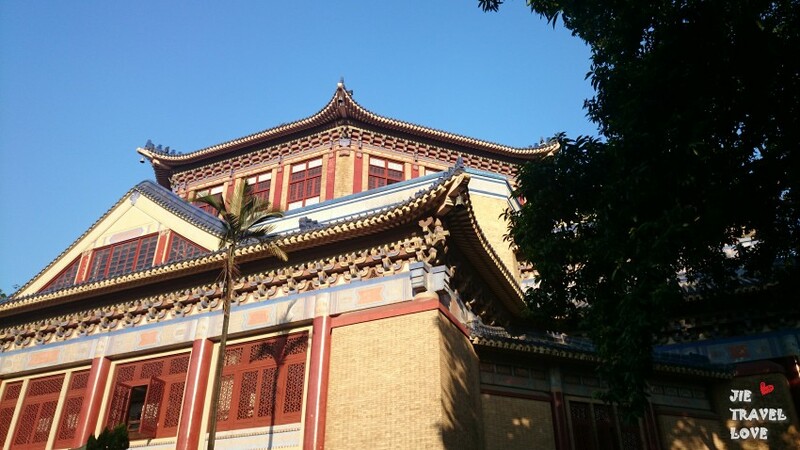 After that we go to Yuexiu Park which at opposite of the Memorial Hall. 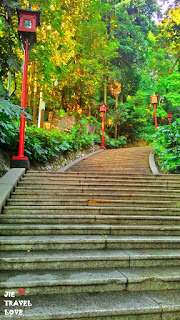 You can see a very high and long stair which you need to walk up only can reach the Sculpture of the Five Rams. Actually this park is quite big, after I walk up the stair I already feel tired. 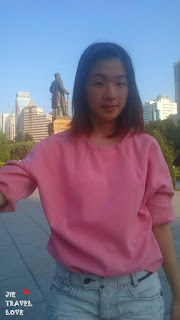 So I did not finished walk all the park. 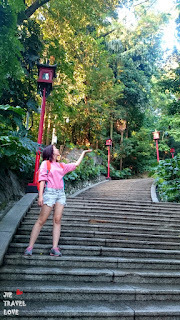 The stair is too long! 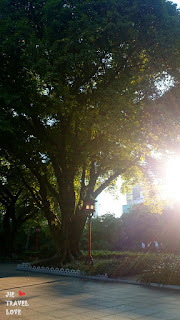 Sit Metro to Memorial Hall Station and exit D2 exit. 交通 Transport : 搭乘地铁 2 号线至纪念堂站， D2 出口Sit Metro to Memorial Hall Station and exit D2 exit.